1. Shiga Prefecture is easy to find on a map of Japan. 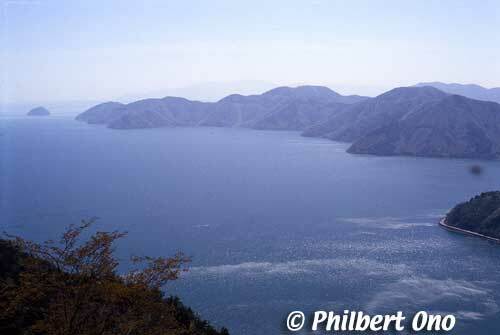 Just look for the large blue lake near the center of Honshu island. It is next to Kyoto. From Tokyo, Shiga is on the way to Kyoto. 2. 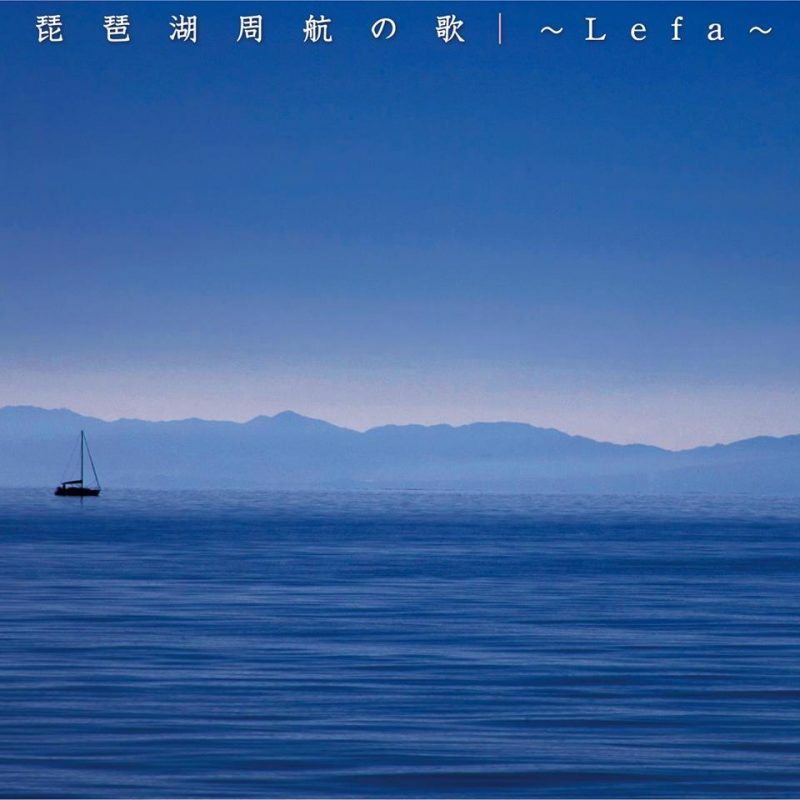 Shiga Prefecture’s claim to fame is Lake Biwa (Biwako), Japan’s largest lake and water supply for 14 million people in the Kyoto-Osaka area. 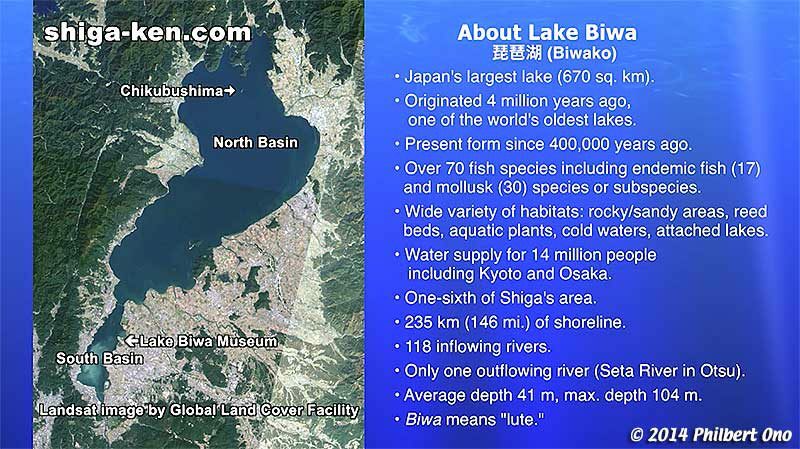 Lake Biwa is one of the world’s oldest lakes dating back 4 million years, home to over 70 endemic species found nowhere else in the world. Chikubushima, home of Goddess Benzaiten (Benten). 3. 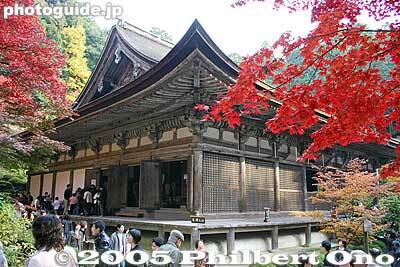 Shiga’s most famous tourist sights include Enryakuji Temple (World Heritage Site) on Mt. Hiei, Hikone Castle (National Treasure), Chikubushima island in northern Lake Biwa, Shigaraki pottery district, Harie, Koka Ninja House, numerous National Treasure buildings, and traditional townscapes. 4. Shiga’s most compact and convenient tourist cities are Otsu, Kusatsu, Omi-Hachiman, Hikone, and Nagahama. These cities have multiple tourist sights within a compact area. They also usually have English-speaking staff at the tourist information desk in the train station. Larger cities like Higashi-Omi, Koka, and Takashima have tourist sights spread out over a wide area which may require more time to visit. 5. When traveling by shinkansen high-speed train, Kyoto Station and Maibara Station are the most convenient for Shiga. Kyoto Station is near southern and western Shiga (Otsu, Kusatsu, and Takashima), while Maibara Station is convenient for visiting northern or eastern Shiga (Hikone, Nagahama, Maibara, Omi-Hachiman, Higashi-Omi). 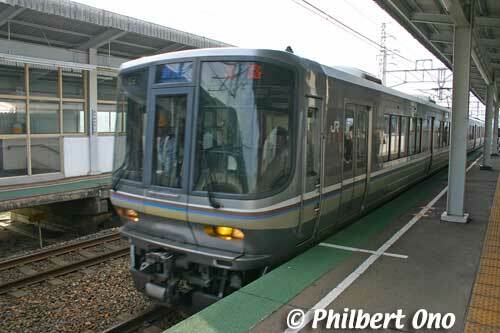 Both Kyoto and Maibara Stations have local train lines that go to other areas of Shiga. 6. The eastern and southern sides of the lake are the most populated and developed, so the JR Biwako/Tokaido Line runs through here frequently. In contrast, the west side and northern side of the lake are more rural and the JR Kosei Line runs less frequently. Shiga is well connected to Kyoto/Osaka through local train lines. Cycling past Shirahige Shrine in Takashima. 7. 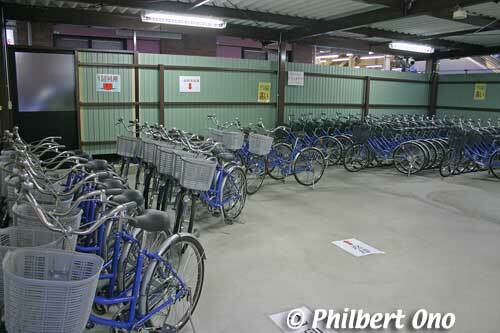 Most train stations in Shiga have rental bicycles. You can rent a bicycle at one train station and return it at another station. High-end bicycles for long-distance cycling can be rented at Maibara Station. 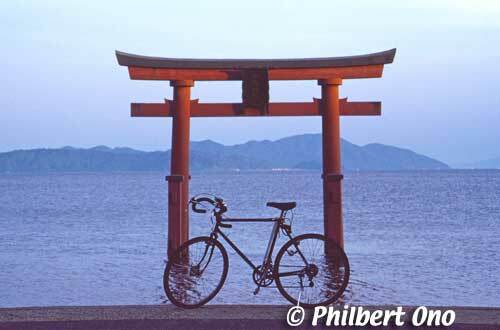 Bicycling around the lake (called “Biwa-ichi”) takes two (via Biwako Ohashi Bridge) or three days. 8. 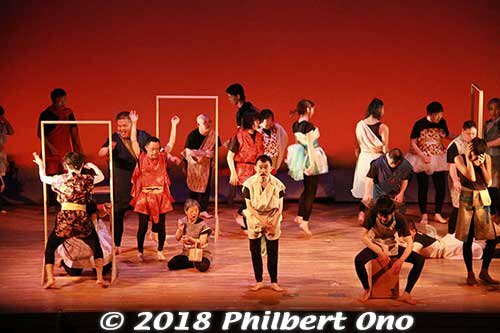 Shiga’s major festivals (matsuri) include Sagicho Matsuri in Omi-Hachiman in mid-March, Nagahama Hikiyama Matsuri in mid-April, Sanno Matsuri in Otsu in mid-April, Otsu Matsuri in Oct., and Hikone Castle Festival Parade in Nov. Detailed festival schedule here. 9. Shiga’s most beautiful cherry blossoms in April are at Hikone Castle, Nagahama Castle, and Kaizu-Osaki northern lakeshore. 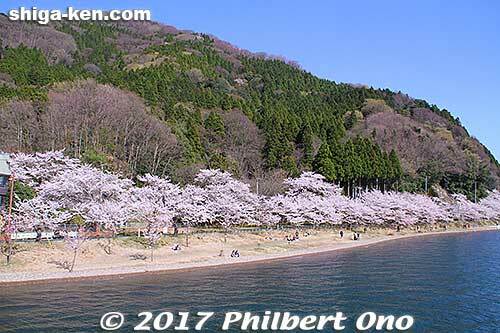 More about Shiga’s cherry blossoms here. 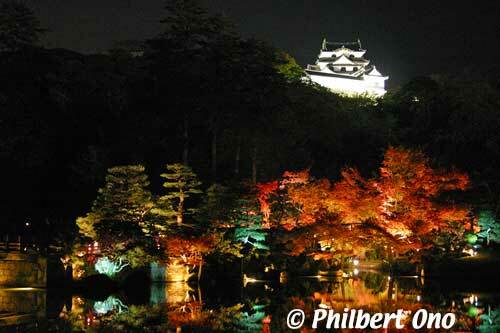 Genkyuen Garden and Hikone Castle in fall. 10. 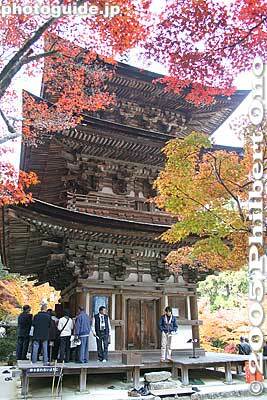 Shiga’s famous spots for autumn leaves in Nov. are the Koto Sanzan Temples (Saimyoji, Kongorinji, and Hyakusaiji) and Eigenji Temple in eastern Shiga. 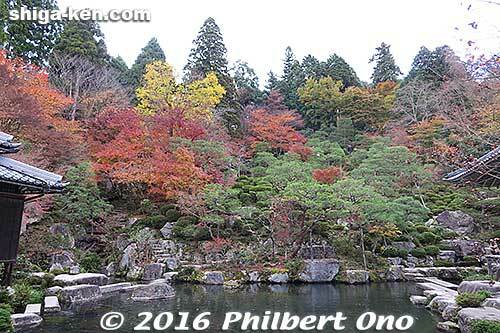 At Genkyuen Garden next to Hikone Castle, the autumn leaves are lit up in the evenings, creating beautiful reflections on the pond. 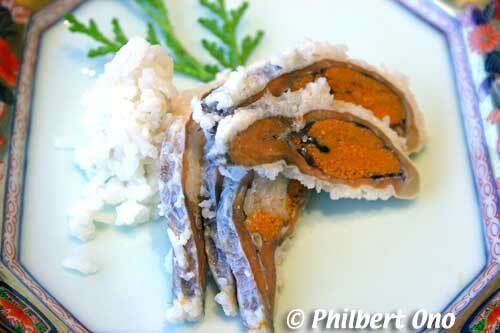 Funazushi is like cheesy fish. 11. Shiga delicacies include fermented fish called funazushi made with endemic lake carp called nigorobuna, locally-grown wagyu beef called Omi-gyu, red devil’s tongue (aka-konnyaku), Omi tea, and Club Harie Baumkuchen cake. 12. Shiga’s famous souvenirs include Shigaraki pottery (especially tanuki racoon dog statues), Lake Biwa freshwater pearls, Omi sensu folding fans, Otsu-e paintings/prints, Hiko-nyan dolls, and Shiga die-cut postcards sold only at post offices in Shiga. 13. 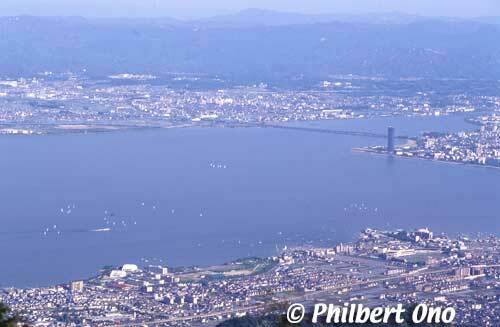 It is possible to go completely around Lake Biwa by train, but it is not a continuous, looping train ride. You will have to transfer trains at least twice, usually at Yamashina Station in Kyoto and Omi-Shiotsu Station in Nagahama. 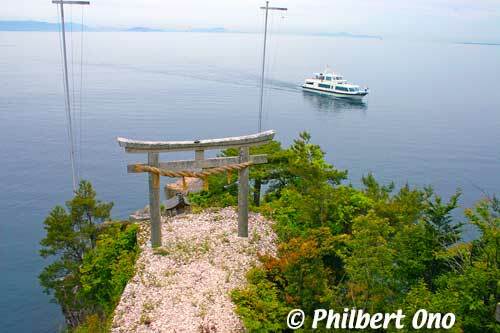 But it’s not a tourist thing to go completely around Lake Biwa by train. Only the JR Kosei Line along the west side of the lake gives nice views of the lake. 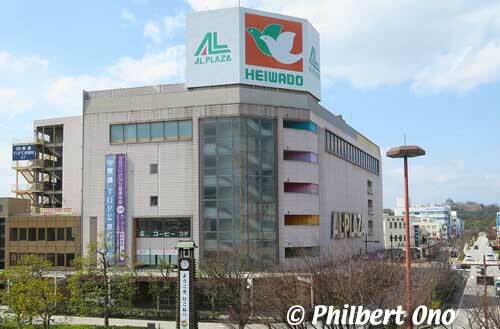 “Heiwado” is another word you may often see as Shiga’s most ubiquitous and beloved corporate brand. 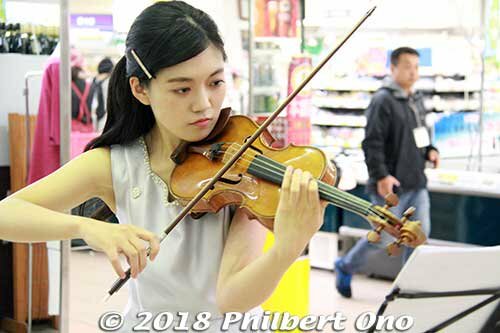 It is a supermarket and local department store chain near major train stations. Great place to buy local food and souvenirs. 15. 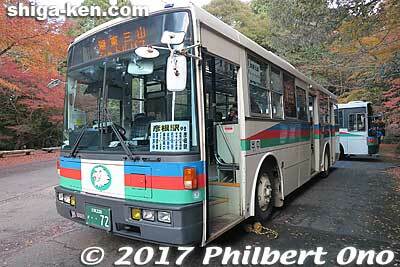 Staying at a hotel in Shiga (especially in Otsu) would be viable even for visiting Kyoto. 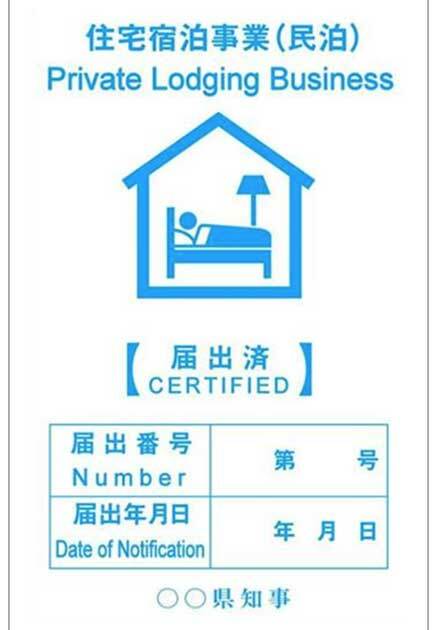 Finding a hotel room in Shiga may be easier (like the capsule hotel in Otsu Station). Otsu is a short train ride to Kyoto (JR line or Keihan Line). 16. Shiga Prefecture is not be confused with the famous Shiga Kogen Highland ski area in Nagano Prefecture, a totally different place. 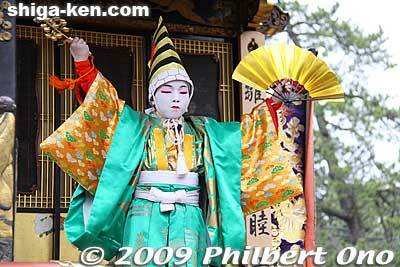 *To find out more interesting things about Shiga, take the Shiga Image Quiz. 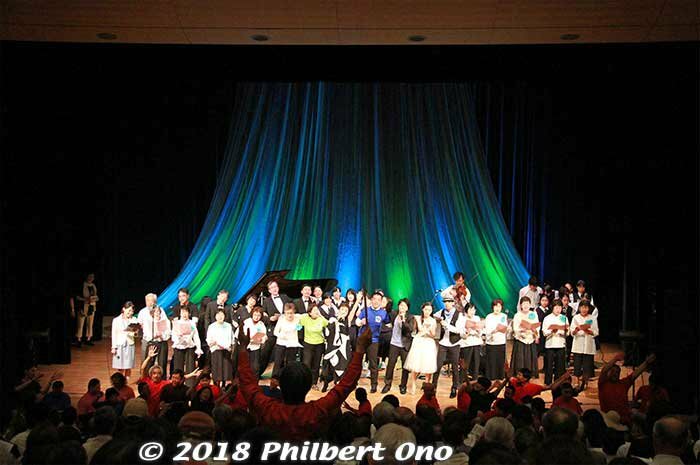 Chronology of Shiga Prefecture’s major news headlines for May–August 2018 (according to the year, month, day, and time posted at GMT). 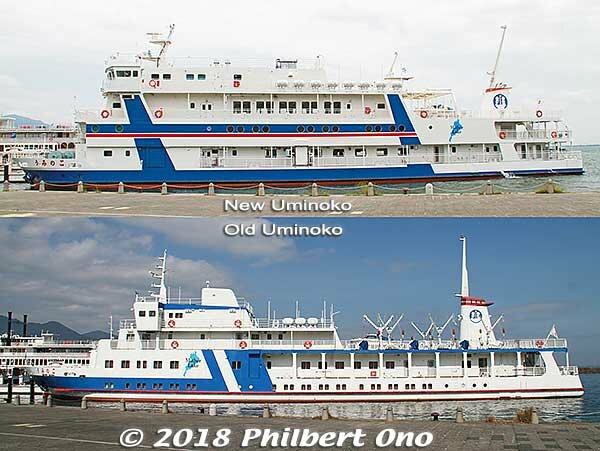 Originally posted on Twitter under Shiga Headlines by Philbert Ono. 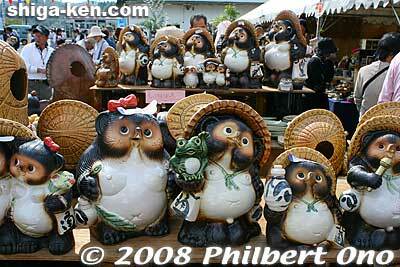 Twitter posts are limited to 280 English characters including spaces and links (shortened by Twitter). Dates and times below are based on GMT, not Japan time. 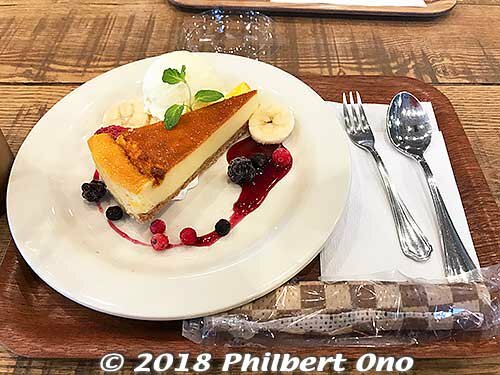 2018-05-02 20:04:00 Excellent cheese cake at Cafe & Bar Tonarimachi Parlor (#隣町パーラー) next to JR Maibara Station (West exit). Also great for breakfast or a nightcap for guests staying at Toyoko Inn next door. Nice interior design with lots of wood. 2018-05-09 00:16:03 On May 7, 2018, a 1st grade girl in Minakuchi, Koka playing in a roadside gutter apparently got caught in the gushing rainwater and sadly died tens of meters downstream. 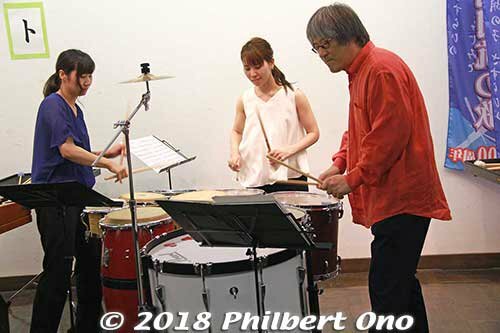 2018-05-21 03:13:01 Percussion trio named Schlegel performed on drums and marimba. Mesmerizing! 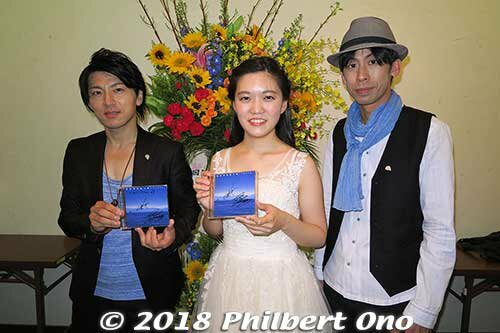 2018-05-21 15:43:39 Nagahama-based duo #〜Lefa〜 and violinist Okimoto Minami #沖本みなみ pose with their new CD single featuring both Biwako Shuko no Uta (in Japanese) and Lake Biwa Rowing Song (in English). 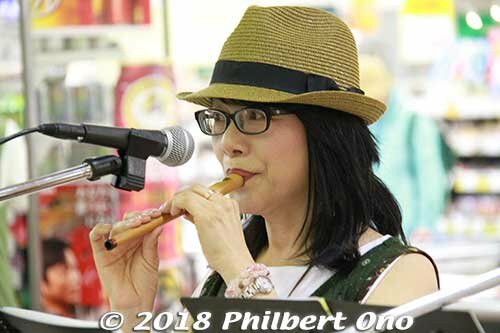 My most popular tweet (about Kato Tokiko) in April–May got 12,723 impressions so far! 2018-05-28 14:21:39 Food poisoning caused diarrhea and fever in 52 elderly people (age 75–100) at a nursing home (青祥会) & elderly health care facility in Nagahama on May 23, 2018. C. perfringens was found in the food prepared by Meal Service Taniguchi (ミールサービスたにぐち加田店). Nothing fatal. 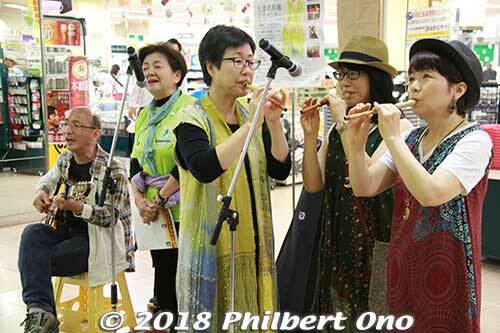 2018-05-28 14:25:41 Crown Prince Naruhito & Princess Masako visited northern Shiga on May 25–26 to attend a greenery event (みどりの愛護) at Nagahama Dome. They also visited a facility for disabled kids in Maibara (ふくしあ), Yanmar Museum, & Hikone Castle Museum. 2018-06-04 11:15:06 Hikone Castle is repairing plaster walls on 2 sides. The side facing the lake was damaged by Typhoon No. 21 last Oct. The other side is having old plaster replaced. Plaster is applied in multiple layers, each layer has to dry before the next layer is applied. 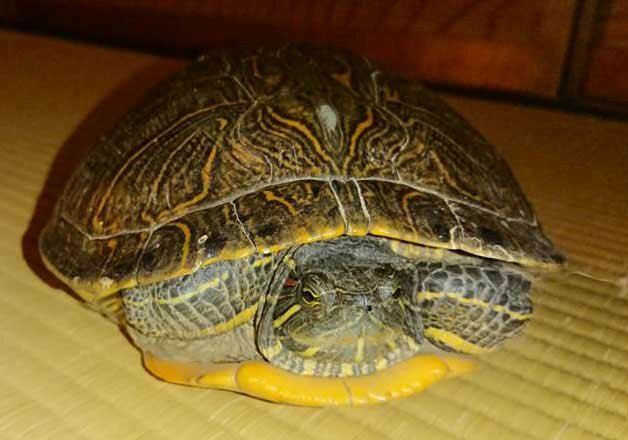 To be done by Nov.
2018-06-13 12:13:12 A friend found this large red-eared slider on a busy road in Otsu & rescued it. I told him it was an invasive species & it shouldn’t be returned to the lake. After inquiring Lake Biwa Museum, etc., he found out that Shiga has no system to collect and dispose of these creatures. 2018-06-16 06:54:13 In Moriyama last Dec., a staff member at the Senior Center Tiffany nursing home シニアセンターティファニー was reported to have verbally abused (「クソじじい」) & barricaded a male patient. 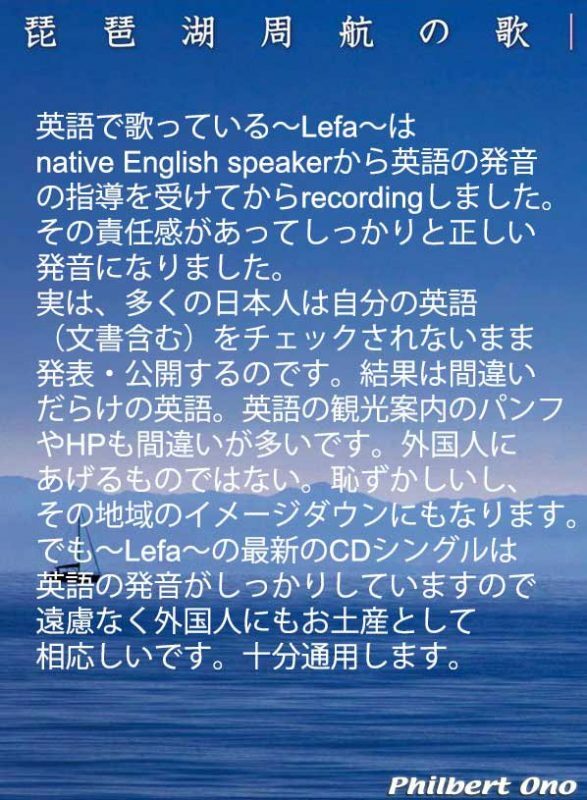 The home’s Yasu-based operator Shoeikai’s (翔英会) was ordered to implement reforms. 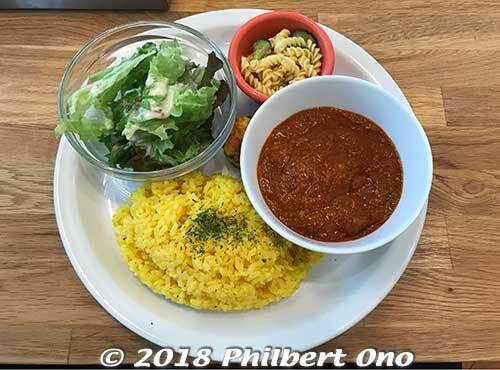 2018-06-16 06:54:33 On June 9, 18 adults suffered from food poisoning after dining at Anosorano-higashi restaurant アノソラノヒガシ in Kusatsu. Their symptoms of diarrhea and fever were not serious. The restaurant’s operation was suspended for 3 days. 2018-06-16 06:58:33 Age 14 female student attending a public jr high school in Ritto was arrested on June 12 for assaulting an age 30 woman teacher by grabbing her chest on May 25 after being scolded for using a prohibited elevator. No injuries. The student is denying the charges filed. 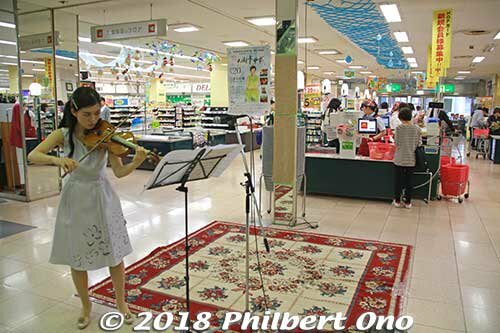 2018-06-19 06:36:40 Yesterday on June 18 when the Osaka earthquake occurred at 7:58 am, people on trains were stuck inside for 2 to 3 hours before they were let out only to walk to the nearest train station. Whenever you travel in Japan, always be prepared & carry water, snacks & wear walking shoes. 2018-06-24 23:00:25 Yesterday, Shiga Governor Taizo Mikazuki won reelection as governor for another 4 years. 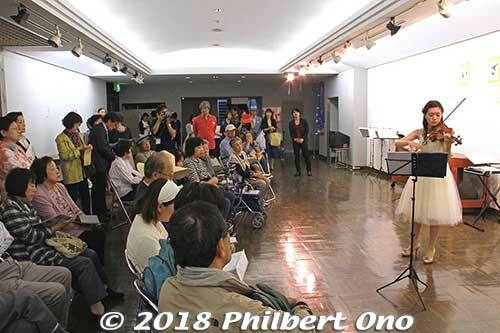 He defeated his sole opponent Kondo Manabu 近藤学, former vice-president of Shiga University. 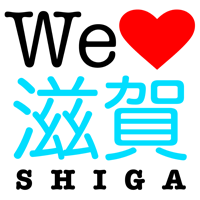 Voter turnout was the second lowest in Shiga’s history at 40.62%. 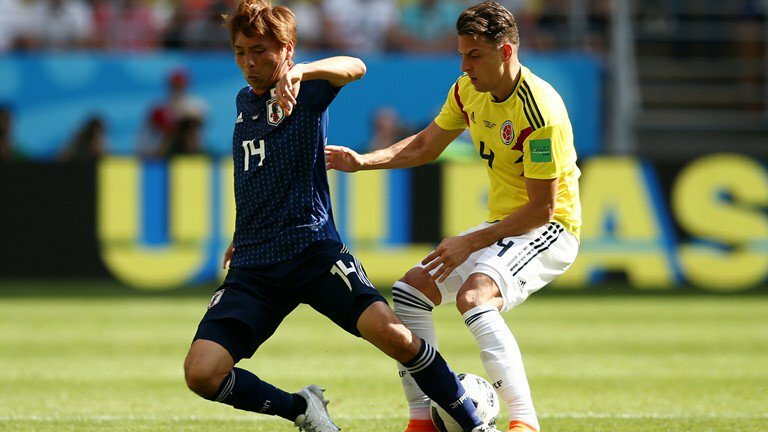 2018-06-24 23:01:08 Omi-Hachiman-native Inui Takashi once again played a key role for Japan at FIFA World Cup soccer on June 24, 2018. 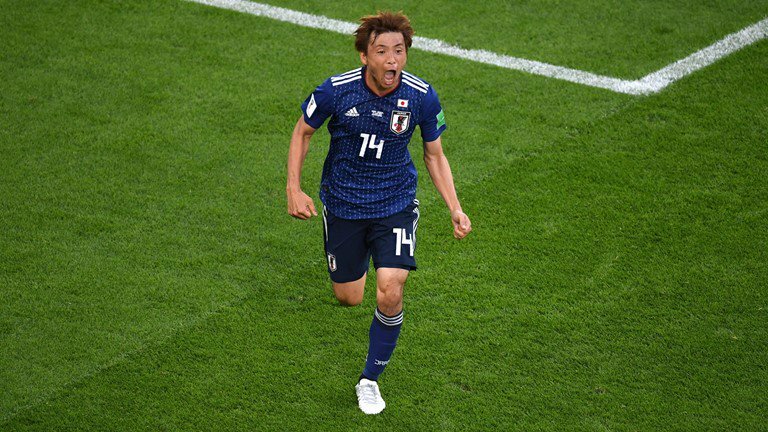 He scored Japan’s 1st goal against Senegal. He almost scored again when the ball hit the crossbar. The match ended in a draw at 2-2. 2018-06-29 01:27:48 Kiryu Nozomi (32,桐生のぞみ), a nurse, indicted on June 26 for abandoning the corpse of her mother Shinobu (58) by cutting up the body in her bathtub & dumping the torso along a river near her home in Moriyama by March 2018. She disposed the other body parts with regular garbage. 2018-06-29 01:28:18 The national tragedy of the 9-year-old girl who got fatally crushed by a collapsed concrete brick wall during the Osaka earthquake prompted inspections of similar walls at all public schools in Shiga. Faulty walls were found at 16 schools. Some of these walls are being roped off. 2018-07-05 11:08:06 Due to heavy rains, flood warnings and evacuation orders have been issued for areas along Anegawa River in Nagahama (Biwa district) and Amanogawa River in Maibara (Nagaoka district). 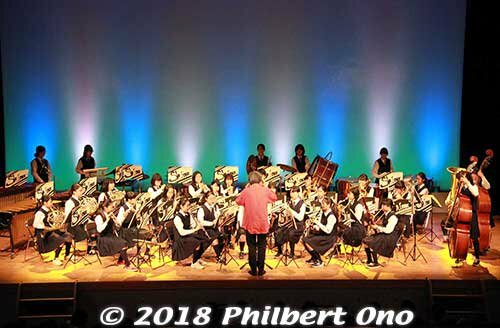 2018-07-06 17:43:11 On July 6, 102 public elementary and jr high schools in Shiga (all schools in Nagahama, Takashima, and Maibara, and some in Otsu) canceled classes due to the heavy rains. 2018-07-06 17:46:55 Rain expected to continue today in Shiga on July 7. Due to possibility of landslides, do not hike in or near the mountains & rivers. JR trains will start on a normal schedule. Ohmi Railways may run on a delayed schedule. Shigaraki Kogen Railway may start running in late morning. 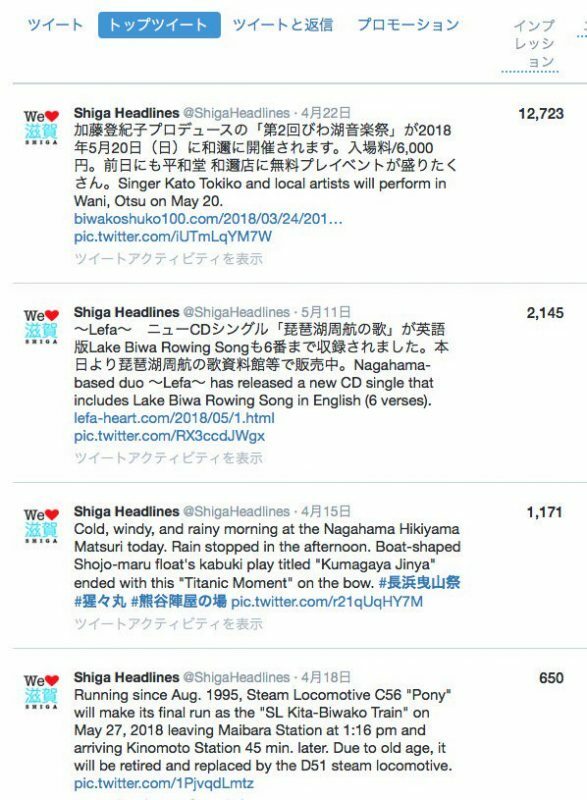 2018-07-07 19:52:31 Heavy rains have claimed one life in Shiga. On July 7, a man (77) in Adogawa, Takashima went out to check rice paddies and he tried to clear debris in an irrigation ditch when he fell into the ditch and drowned. 2018-07-07 19:58:29 Due to possibility of landslides and blocked paths, do not hike in or near the mountains & rivers. JR trains will start on a normal schedule. Ohmi Railways and Shigaraki Kogen Railway also running normally. All evacuation orders/warnings in Shiga have been lifted. 2018-07-09 15:29:47 In Shiga, it rained the most in Kutsuki, Takashima; Minami-Komatsu, Otsu; Imazu, Takashima; & Yogo, Nagahama. 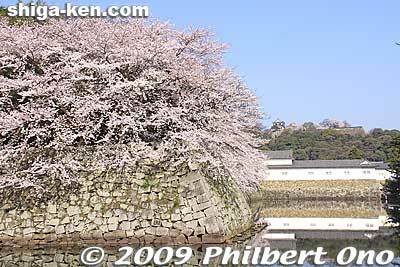 Flood damage minimal with only 1 home flooded (in Nagahama) & minor damage of Hikone Castle’s moat wall. Some soybean fields damaged in Takashima, Hikone, & Omi-Hachiman. 2018-07-09 15:30:04 Lake Biwa’s water level rose by 97 cm during July 5th–8th, reaching the overflow level. The Setagawa Weir in Otsu is now fully open to drain the lake water to the river. It will take at least 20 days until the water level goes down to normal levels. 2018-07-09 15:30:12 The rainy season in the Kinki Region (Shiga, Osaka, etc.) ended on July 9. Twelve days earlier than usual, and 4 days earlier than last year. Sunny and hot days are forecast during the coming week. Keep cool! 2018-07-17 20:57:42 The tornado that hit Maibara on June 29 caused about ¥4 million of agricultural damage to greenhouses, storehouses, and fields. Also, heavy rains on July 5th–7th damaged about 150 ha of fields in Shiga, mainly soybeans in Ritto (26 ha), Takashima (19 ha), and Nagahama (16 ha). 2018-07-17 20:59:05 Hot in Shiga! 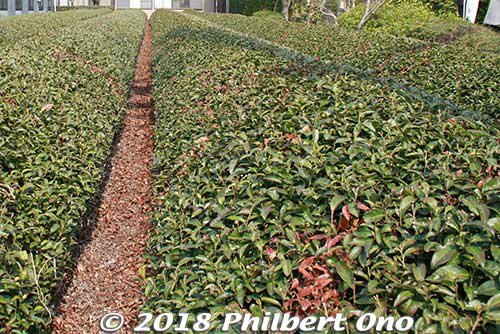 On July 15, an age 94 woman died of heatstroke while cutting weeds in her backyard field in Maibara, & an age 70 man in Otsu died of heatstroke in his home that had no air conditioning. On July 17, 29 people in Shiga were hospitalized for heat illness. None serious. 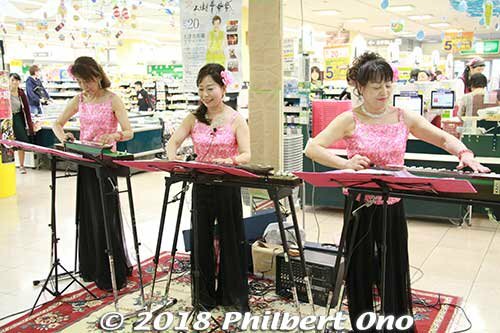 2018-07-17 20:59:27 On July 17, three female badminton club members at Ogi Junior High School in Otsu (大津市立仰木中学校) came down with heat exhaustion during practice while jogging for almost 30 min. They were hospitalized with mild symptoms. 2018-07-17 20:59:43 July 12 at Nango Jr High in Otsu (南郷中学校), a teacher (31) coaching the soft tennis club punished a boy for bad serves by having him run around campus 80 times (=18 km). After running for 30 min. (2 km), the boy collapsed from the heat & was taken by ambulance. Now recovering. 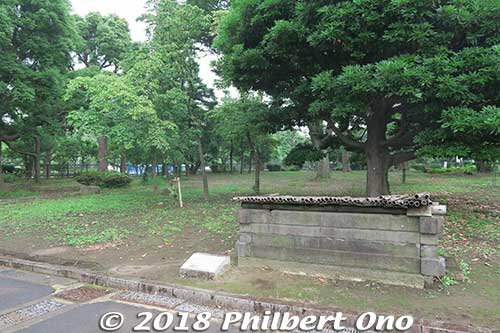 2018-07-26 14:17:33 Site of the Ii Clan’s residence near the Imperial Palace’s Sakuradamon Gate. Now a park with this historic Sakura-no-i well 桜の井remaining. 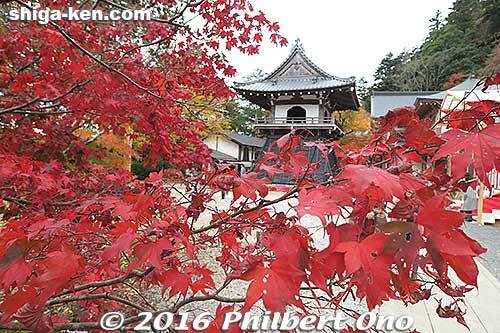 On March 3, 1860, Chief Minister Ii Naosuke left this residence & was assassinated while on his way to the castle. 2018-07-30 01:07:30 Shiga’s soybean farmers are having difficulty growing soybeans after the recent floods and the current heat. A lower yield is expected this season. Shiga is the Kansai Region’s largest soybean producer. You can find Shiga natto in Heiwado too. 2018-07-30 01:07:47 No major damage and no casualties in Shiga have been reported after Typhoon No. 12 (Jongdari) on July 28–29. Train service was affected and some homes in Otsu and Higashi-Omi had a power outage, but everything is back to normal now. 2018-08-11 16:01:50 Average price of “Regular” gasoline at gas stations in Shiga has exceeded ¥150 per liter for 11 weeks in a row as of Aug. 6. Uncertainty over oil from Iran is affecting prices in Japan. 2018-08-11 16:02:23 On Aug. 7, a male Otsu City Hall section chief (51) saw Biwako fireworks with co-workers, drank alcohol, and drove his car. He then unknowingly hit a parked car and drove 5 km to his home. He reported to the police the next day. Punishment from the city forthcoming. 2018-08-11 16:02:52 At an elementary school in Aisho, an age 21 male clerical worker embezzled over ¥6.88 million that was to be paid to a school lunch provider. He withdrew cash from the school’s bank account for 6 months until March 2018. He used it for pachinko and food. He was fired on Aug. 10. 2018-08-11 16:03:04 In July 2018, 706 people in Shiga were taken by ambulance due to heat illness. The most ever for July since 10 years ago & 2.61 times more than July 2017. Over 42% were age 65 or older & 2 of them died. Last month, Otsu had a record 14 days with temperatures soaring 35˚C or more. 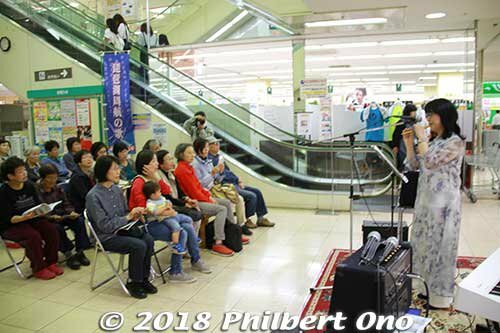 2018-08-11 16:04:18 For the Obon summer vacation, Aug. 11 is the peak for people traveling to their hometowns, and Aug. 14–15 will be the peak for people returning back to the city. Expect packed trains and roads on these days. Last vacation day is Aug. 19. Stay cool and have a safe summer vacation! 2018-08-18 14:34:59 On Aug. 17 in Hie, Yasu, a man in his 30s riding his bicycle fell into a 70-cm wide hole in the road where a drainage pipe was being replaced. The construction workers were taking a break and left the hole out in the open. The man sustained major injuries like a fractured jaw. 2018-08-21 13:46:56 Only 40% of Shiga’s public high school classrooms have air conditioners. This is lower than the national average & the lowest in Kansai. Shiga’s remaining 22 public high schools without air conditioners expect to have them within the next 3 years or sooner, costing ¥4.6 billion. 2018-08-24 17:08:16 Typhoon No. 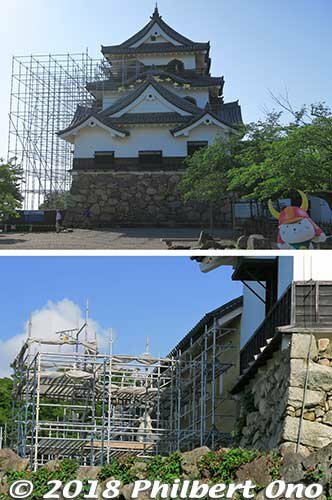 20 damaged white plaster walls on Hikone Castle’s Tenbin Yagura & Sawaguchi Tamon Yagura, both National Important Cultural Properties. Three people in Shiga got minor injuries due to the winds, no deaths. Roofs blew off a home in Konan & waste-disposal plant in Kora. 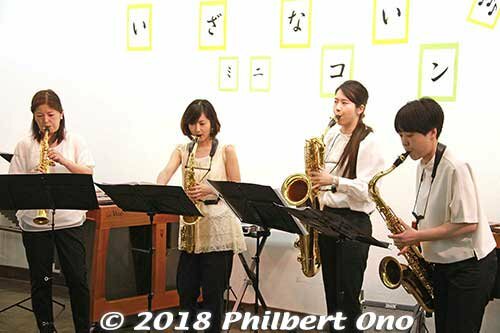 2018-08-28 15:55:31 Okura Yohei (31, 大藏陽平) male jr. high teacher in Hikone arrested for indecent acts with age 14 jr. high girl at a Hikone hotel in June. Okura, who lives in Higashi-Omi, has admitted to the charges. 2018-08-28 15:55:49 The jr. high school soft tennis coach (31) in Otsu who ordered a boy player to run 80 laps around the school in the summer heat & another male teacher (28) at the same school who grabbed a student’s neck are being confined to their homes for their acts of corporal punishment. 2018-08-28 15:56:30 Tomoyuki Sugimoto (39, 杉本倫孝) from Shiga Prefecture who was detained by North Korea in early Aug. has been released (deported) and arrived in Beijing on Aug. 28. Although he went as a tourist, he may have been suspected of filming a military facility in Nanpo. 2018-08-28 15:56:44 Synchronized swimming duo Yukiko Inui (from Omi-Hachiman 乾友紀子) and partner Megumu Yoshida 吉田萌 won the silver medal for women’s duet artistic swimming at the current Asian Games in Jakarta on Aug. 28. China won the gold.